Srushti jayant deshmukh is now the household name. In the examination of the UPSC Civil Services 2018, Srushti jayant deshmukh has been top among girls. Srushti Jayant Deshmukh has secured All India 5th Rank in the UPSC Civil Services 2018 Examination. Moreover, She has achieved this feat in her First attempt. Her optional subject in the IAS Main (written) examination was Sociology. Srushti has done B.tech in Chemical Engineering from Rajiv Gandhi Technology University, Bhopal in 2018. His father is an engineer and her mother is a teacher. In talks with Jagranjosh, She said it was her childhood dream and has achieved it for the betterment of Society. She said consistency is the key to success in the IAS Exam. She also stated that self belief is also one of the major factors in the IAS preparation. She gave credit of her success to her mother and father her friends, teachers and mentors. She studied from the Carmel Convent School, BHEL and Studied Chemical Engineering in the her Graduation. 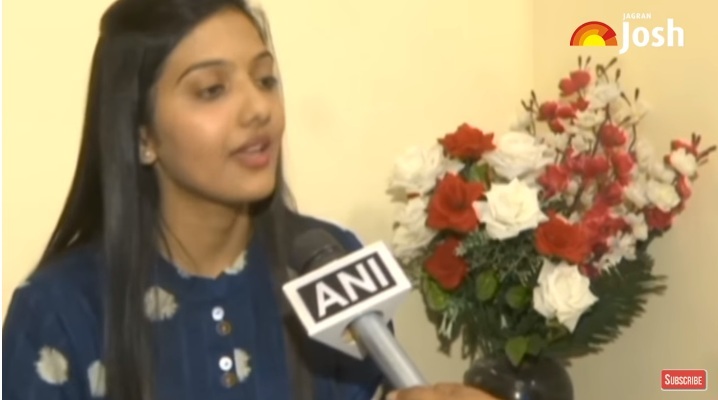 Clearing the IAS Exam in the first attempt is also a big achievement and in addition to that, she said that all the IAS candidates who appeared in the IAS Interview are equal and have almost same knowledge. After becoming an IAS officer, she has the priority areas of working on Women empowerment and Education. She stressed on the control use of Internet. He also said that the Internet is useful as well as harmful at the same time. The overuse of Social Media has the repercussions on the studies. Srushti, who lives in Bhopal, emphasizes the utility of internet and also encourages students not to waste time waste on social media. After becoming an IAS, Women Empowerment and Education will be their priority.